Happy Tuesday (this week’s Monday) morning! No, not the lion, shark, or scorpion. Dragonflies kill 95% of their prey, and usually do it within a single second. They love a buffet; it’s not unusual for them to eat 30 flies in a row. The “mighty” lion is much further back in the pack, with a kill rate of only 25%. What if you had a 95% success rate in hiring at your company? According to hiring expert, Barry Deutsch, you’re more likely to have a lion’s “catch” rate. In fact, you could hire just as well, if not better, with a flip of a coin. 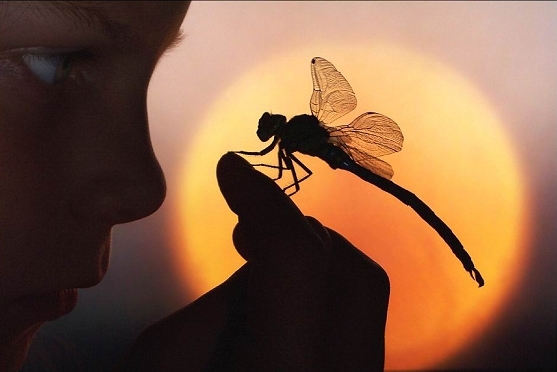 Dragonflies have much to teach us. They are known as precision hunters, with excellent candidate selection skills. They have a human capacity for selection attention. They focus on a very few things when hunting. They have 16 ways to track trajectory. They pay attention to where the “candidate” is moving, not where they are currently located. They have built in redundancy; they can fly and hunt with three wings. Looking to increase your selection rate? How do you identify the factors that are critical tosuccess in the hiring process? We work with many of our clients, helping to improve their skills when assessing the key attributes for hiring, onboarding, and promotion success. Pay attention to other options the candidate may have, mix in a little redundancy on the hiring team, and add a chaser of speed. Like a dragonfly, you will end up with a killer hiring model. Hunting, along the road with you! P.S. We’re looking for that killer candidate to head up our Client Services team in Ottawa. Have you got the right stuff? Click here for more on what we have to offer, and what we’re looking for in you. P.P.S. Join our CareerClass Webinar | Social Media and Your 3D Personal Brand: Wed, May 22 :12-12:45 P.M. ET. Invest 45 minutes of your time and start to use social media more effectively either as a candidate or employer. Click for more details & to register.